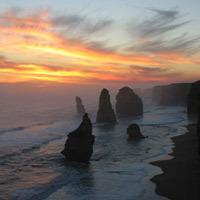 Australia is a wonderful place to visit due to its diverse natural beauty and varied climate. It is also a friendly and safe place to travel. Many visitors to our country are unaware of the immediate dangers present in our natural environment. The information below presents you with some safety points that you should consider. The Australian sun is at its most extreme between 10am and 3pm. Not only is it cooler to get up early to start your day's activities but you lessen the chance of a painful sunburn or permanent damage to your skin. Always protect yourself by utilising shade, wearing adequate clothing i.e. long sleeved shirt, hat, sunglasses and applying 30+ sunscreen lotion throughout the day. Dehydration occurs when a person loses more bodily fluid than he or she takes in. It can happen gradually over a period of time, or very quickly in some cases due to extreme exercising. Two thirds of the human body is made up of water. When dehydration occurs, it means a person has lost a sufficient amount of fluid for the body to stop working normally. Drink plenty of water to avoid dehydration, sun stroke or heat exhaustion. 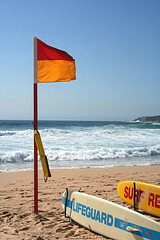 While visiting one of our beautiful beaches always swim between the red and yellow flags at a patrolled beach. The blue flags indicate where surfing is allowed. When the flags are shown the Lifeguards are on duty. Our beaches are not patrolled 24 hours a day. The strong currents in the water are called rips. These powerful currents have the potential to carry you out to sea. If you find yourself caught in a rip, do not panic, stay calm, float with the current, raise your hand and swim parallel to the shore. If you try to swim against the rip you will tire quickly and become exhausted. 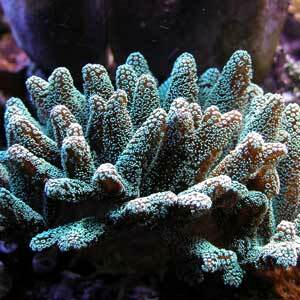 Australia has one of the most accessible reefs in the world and offers excellent snorkelling. 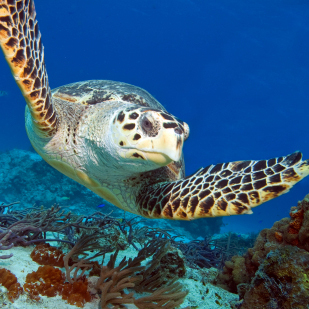 Snorkelling is a great way of seeing some of the most spectacular marine life found in our waters in the first few metres of water, even if you are not at the Great Barrier Reef. 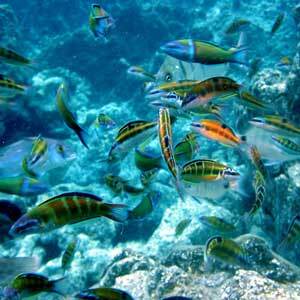 Generally speaking, snorkelling is relatively easy and can be enjoyed by all age groups. Snorkelling is most enjoyable in clear and calm conditions. 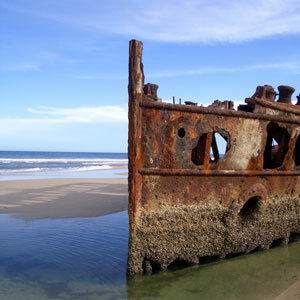 All the coastal destinations in Australia have marine life that can pose a potential threat to humans, especially when precautions are not adhered to. Please do not be alarmed by the information given, just be aware. 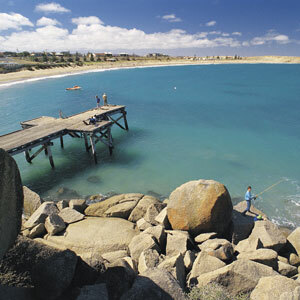 Shark attacks in Australia are very rare. 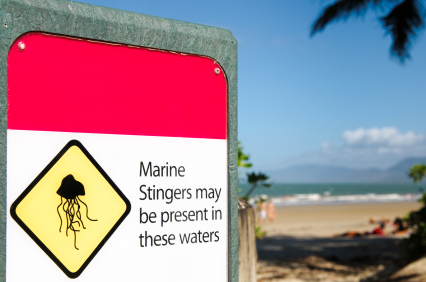 Stingers (Jellyfish) Stingers are found in the northern Australian coastal waters. This marine stinger immobilises its prey by injecting them with powerful venom released from a batch of stinging cells on its long tentacles. The severity of the sting depends on the size of the skin area which comes into contact with the tentacles. An extreme sting may be enough to kill an adult or cause incredible pain, not to mention the burn-like scars. 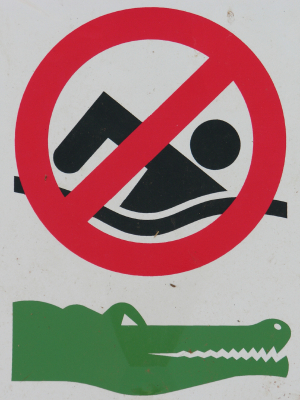 Crocodiles are found in the northern parts of Australia including Queensland and Northern Territory. Crocodiles have been seen in parts of the ocean, rivers, creeks and waterholes not only on the coast, but quite a distance inland also. 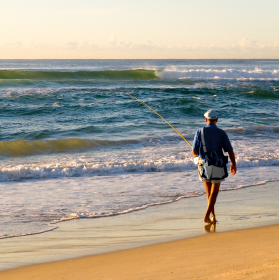 Fishing is said to be best at either side of the turn of the tides. Waves, tides and currents are what drive the sea. Tides are controlled by the gravitational pull of the sun and moon which creates a high and low tide. There are usually two high and two low tides each day, because that is roughly how long it takes the moon to rotate around the earth. You can purchase a tide time book from local Bait & Tackle Stores or some General Stores. Alternatively, you can view online. 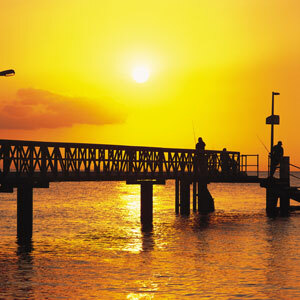 Some states throughout Australia require you to obtain an inexpensive fishing licence for recreational fishing. These can be purchased from local Bait and Tackle Stores, some General Stores or online. Failure to supply a fishing licence when asked by authorities may incur an on-the-spot fine. 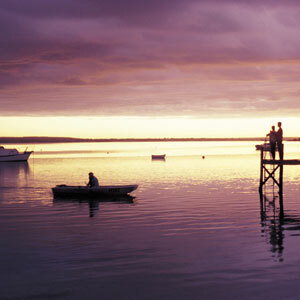 Each state has their own fishing restrictions. It is your responsibility to ensure that you adhere to the bag and size limits. A bag limit is the number of fish that one person can legally take and keep. 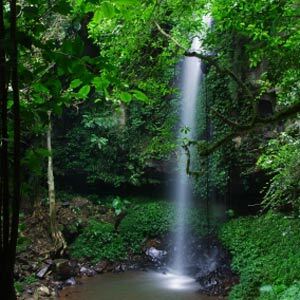 This is to conserve heavily exploited species, species that are susceptible to capture, reduce the illegal marketing of fish and to send out a message of promoting ethical and responsible behaviour when using a limited natural resource. 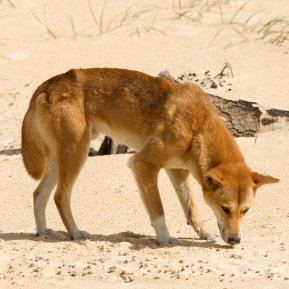 Size limits are typically based on biological research into each species' reproductive cycles. Minimum size limits generally allow fish to spawn at least once and contribute to the population before they are taken. However, in some species larger individuals contribute more to the population, which is why maximum size limits apply. In Australia the risk of bushfire is very high during the months November to April. 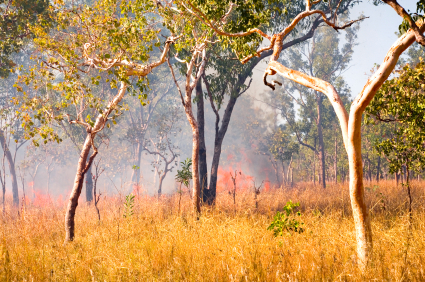 Bushfires occur when temperatures are high and the relative humidity is low. A high fire danger day is one that is hot and windy, and the air is dry. You will notice fire safety signs alongside the road showing if you are in a high danger fire area. 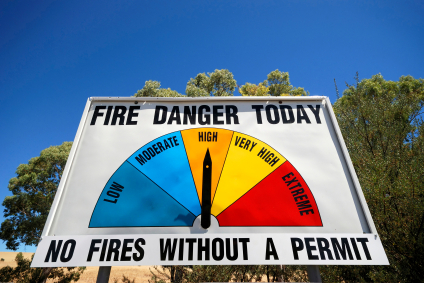 Total Fire Bans are declared by the local Fire Authorities on days when fires are likely to spread rapidly and difficult to control. On these days lighting any fire in open air is prohibited (including camp fires and BBQs). Total Fire Bans are announced on radio and advertised widely. The radio channel is shown on road signs as you are passing through. Do not accidently start a fire by leaving a campfire smouldering, dropping a lit cigarette, or lighting dry grass with a hot car exhaust. Radiant heat is the invisible heat that comes from a fire (you can feel radiant heat from a campfire). It travels in straight lines well ahead of the flames and is the biggest killer when people are caught in the open. Radiant heat cannot travel through solid objects, so you can protect yourself by ensuring there is a solid barrier between you and the fire. The safest option is always be well away from the fire threat. If you are intending to travel through bushfire prone areas during the bushfire season, you must plan ahead. 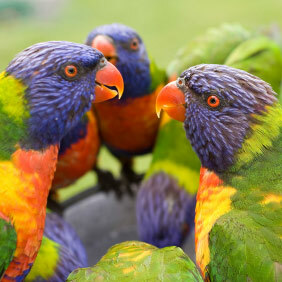 Our wildlife is truly amazing! 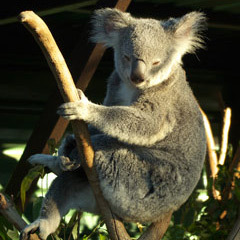 While we agree that some of our animals looks cute and cuddly remember that they are wild and unpredictable. Each state in Australia has a 24 hour Emergency Phone Number to call in the event you find wildlife that has been injured or displaced through human activity, road trauma, feral animals, tree felling, land clearing, pollution, bushfires and oil spills. The Emergency Phone numbers can be found on road signs throughout your travels. 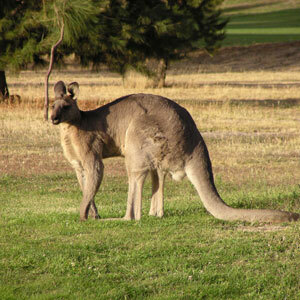 Emergency operators are trained to give you advice on what to do with native Australian Animals in need of care. The extensive network comprises of volunteers, government agencies, zoos, emergency services, and private commercial operators. For your own safety, it is illegal to operate a mobile phone when driving without using a 'hands-free' kit or without an earpiece. Hefty fines apply. Driving after consuming alcohol or taking drugs is dangerous. 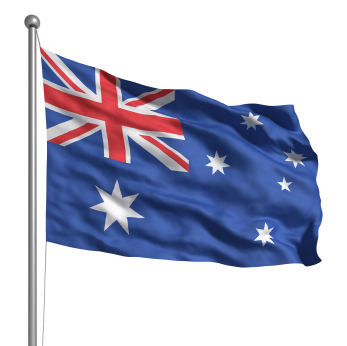 The laws in Australia state that if your blood alcohol level is over 0.05 percent you will be charged and immediately loose your licence. Driving under the influence of drugs is also illegal and penalties will apply. Beware of random breath testing and drug testing by local Police. 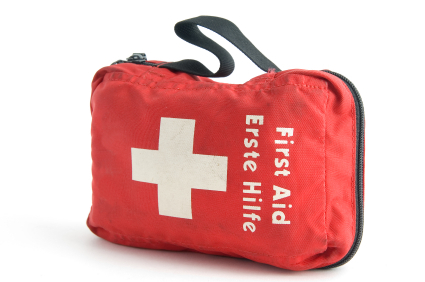 Ensure that you travel with a comprehensive first aid kit.